Earlier this month, we reported on several changes at Apple retail stores that were reportedly seeing some employees being laid off or seeing recent promotions being retracted, while other part-time employees were seeing their hours reduced significantly, in some cases to zero. Our report was followed several days later by an acknowledgement from Apple that the company had "messed up" in adjusting its staffing formulas for its retail stores. ifoAppleStore now takes a close look at the situation, tying changes in the philosophy of Apple's retail experience to the passing of Steve Jobs and the operational focus of Apple CEO Tim Cook and new retail chief John Browett. At the most basic level, Jobs served as the champion for former retail chief Ron Johnson's vision of Apple stores focused on consumer satisfaction, and without Jobs to protect that vision Apple has slipped into a numbers-focused perspective for its retail operations. 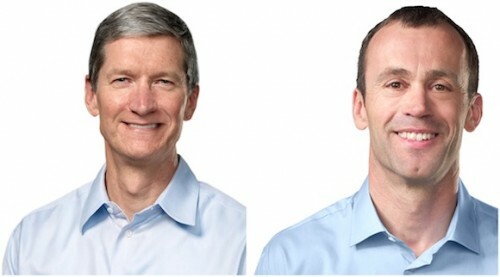 The report claims that Cook hired Browett to replace Johnson, who departed Apple to lead department store chain JC Penney last year, specifically because of his focus on "traditional concepts of retailing" that prioritize revenues and profits as the key performance metrics. Browett will destroy the retail store experience for customers. You'd figure that Tim would be smart enough to see this. Best Buy values profit over customer satisfaction and look how great they are doing. I've worked at Apple for 4 years. I appreciate all that Cook has done for the employees, but I will be the first to say that meeting these numbers/profits is not going to bode well for them. I don't understand the world of business. If your primary goal becomes meeting quotas and percentiles rather than customer satisfaction, how do you ever expect to be a respectable business? You can make all the beautiful, respectable things in the world. But if you don't have heart, you don't have anything. This totally makes sense as Apple is struggling to make a profit. Give me a break. Glass cubes, giant stores in Grand Central Station, and architectural innovating buildings is not the way you go to maximize profits, and thats not the point of these highly successful retail outlets. Its shock and awe, its getting the products into the hands of consumers so they can "play" with them. To do this is to understand why Apple products are so successful. 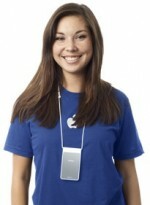 Nickeling and dimeing consumers is the surest way Apple can shoot themselves in the foot. Tim, your consumers made Apple the biggest company in the world, and we fight the good fight for you all over the internet (there are no fans like Apple fans) but if you even give off the appearance that you are trying to increase your already sky high profits, then you risk it all sir. You should fire this douche Browett and quit worrying about retail stores profits. Their job is to showcase... obviously the profits will come. I worked retail for 35 years before retiring in 2009. Everything I read and everything in my customer service "gut" tells me that Browett is the wrong person to head Apple retail. Let's see how many ways we can alienate faithful customers. Pro users are already complaining. Thumbs up if you don't like Tim Cook either.